HR360’s services, however, were too fundamentally instrumental to the health and survival of the population it serves in the City to move; leaving to another location was not an option. 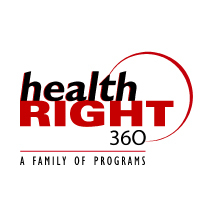 In 2012, Rob guided HR360 in a rebrand from Haight Ashbury Free Clinics-Walden House to HealthRight360 and marked the beginning stages of the conglomeration of the various health resources that exist today under HR360’s service umbrella. These now include Haight Ashbury Free Clinics, Asian American Recovery Services, Lyon Martin Health Services, LA and Ventura County based Prototypes, Rock Medicine, Tenderloin Health Services, Walden House, Women’s Community Clinic, and the Women’s Recovery Association. Given that HR360 at the time was in possession of several real estate holdings and would-be beneficiaries of San Francisco’s new market tax credits, and that 35,000 square feet of additional space in the city was needed, Rob guided HR360 to perform a Planning Study to determine the feasibility of a capital campaign to address the private financial resources required to acquire a new site and perform the build-out. The planning study tested $4mm in private funding and 35 key stakeholders, including foundation heads, current and past board members, existing and potential high net worth donors, key healthcare industry professionals, and key city supervisors and government individuals were interviewed. The study assessed and determined potential campaign leadership, structure, and attainable goal. Cogeo’s ultimate recommendation was that $5mm could be raised over 3 years, leveraging 3-5 year pledges. The campaign ended in 2016, raising $6mm in total, and in 2017 HealthRight360 opened its new headquarters facility in San Francisco. The Campaign had a positive lasting effect on the development department of HR360. The Planning Study was the first formal capital fundraising initiative implemented at the agency. As a result, best business practices and key donor relationships, both from the Study and the Campaign continue to this day to play a vital role in the important ongoing annual development efforts of HR360.